An earlier version of this story incorrectly identified the owner of Cantelop Property Investment, Inc., as Lt. Gov. Carlos Lopez-Cantera. The property owner is the lieutenant governor's father, Carlos C. Lopez-Cantera Sr. Friday, Feb. 27, 4:01 p.m.
A zoning proposal meant to spur redevelopment in Little Havana would benefit some well-heeled, well-connected men. 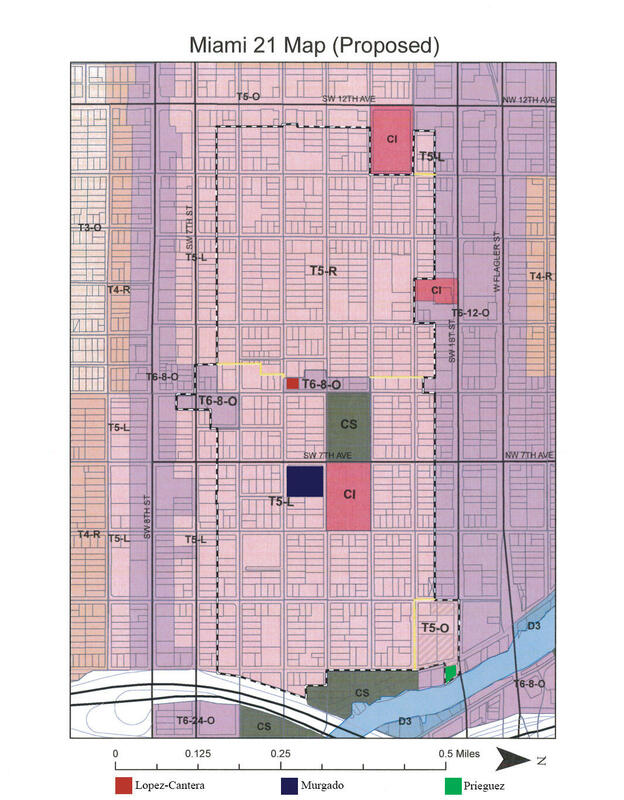 The plan, which would affect roughly 140 acres of East Little Havana, would increase the maximum height and number of units allowed per acre for dozens of properties in Miami Commissioner Frank Carollo's district. The notices for public hearings on the proposed zoning changes posted around East Little Havana are in English -- even though many of the neighborhood's residents speak only Spanish. Among those who stand to benefit the most from the proposed upzoning is Carlos C. Lopez-Cantera Sr., father of Lt. Gov. and former Miami-Dade County Property Appraiser Carlos Lopez-Cantera. Lopez-Cantera Sr. owns property along Southwest Eighth Avenue just south of where Teatro Marti used to be. According to records from the property appraiser's office, Lopez-Cantera Sr.’s company, Cantelop Property Investment, Inc., bought the property at 438 SW Eighth Ave. for $540,000 in 2010. That company sold the land to another company, Cantelop Properties 7, LTD., for $600,000 in 2012. Cantelop Properties 7, LTD. is owned by Virginia Holdings Corporation, which is owned by Lopez-Cantera Sr. If the proposed zoning changes are approved, the maximum height on Lopez-Cantera Sr.’s property would increase from five stories to eight (or 12 under certain conditions), and the number of units allowed per acre would more than double. It would also mean fewer restrictions on what kind of commercial uses can exist there. These changes would likely result in significantly increased property value. Lopez-Cantera Sr. said by phone Friday afternoon that he was "just as surprised as anyone else when he heard about the zoning changes." He stressed his property is relatively small -- 1/4 acre -- and said it would be hard to develop. 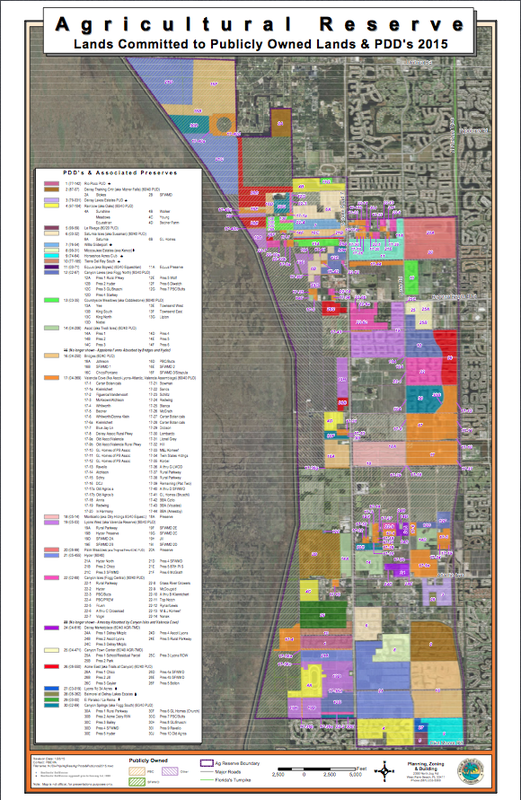 Click to see the properties mentioned shaded in this map of the proposed zoning changes. Also likely to see a boost in his property value is former State Rep. Manuel Prieguez. Prieguez’s company, Manny Seafood Corporation, owns property along the Miami River. One of his lots along the river is currently zoned for low density multi-family housing. The change would increase the maximum height on his land from three stories to five, almost double the density, and would allow for a variety of commercial uses. Companies tied to Prieguez have contributed at least $2,500 to Carollo's campaigns since 2008. Prieguez once served as one of Carollo’s appointees to the Waterfront Advisory Board, but Prieguez resigned from the board in April. The landowner with perhaps the most at stake is Brickell Motors owner Mario Murgado. Murgado paid $3.2 million (through his company Mar-660 SW 4th Street, LLC) in October for about 75,000 square feet of property that sits vacant at 660 SW Fourth St., across from Ada Merrit K-8 Center. The zoning change legislation was introduced about a month later. The construction boom in downtown Miami looms over Little Havana. The unfinished Brickell City Centre project can be seen on the right in this view of downtown from Calle Ocho (SW 8th Street). Because the land is zoned for community facilities like schools, Murgado cannot build anything on it without going through a public hearing, and even then, the density allowed is still relatively low. The proposed changes would give Murgado the ability to build up to five stories for more than 100 units, and would open up the land to some commercial uses. Following publication of this story, Murgado sent WLRN a statement regarding the Fourth Street property. He wrote in an email the lot is located close to his flagship dealership, and it would be used to house excess inventory. "We are not real estate developers and have no plans to develop the lot apart from paving, lighting and beautifying it with proper landscaping," Murgado wrote. "Any inference to the contrary is completely false." Murgado donates frequently to Republican candidates. He gave $2,000 to Congressman Carlos Curbelo in the last election. Murgado, his family and his companies have given more than $4,000 to Carollo’s commission campaigns since 2008. "If I need help with an event or charity, I know I can count on him,” Carollo told Automotive News about Murgado in 2011. Carollo, who supports the zoning changes, said he was unaware of any campaign donors benefiting from the proposal, and would not say whether he would recuse himself if that were the case. Carollo refused to answer and walked away when asked whether he had spoken with Mario Murgado or Manuel Prieguez regarding the zoning changes. Carollo said it is unfortunate some residents are living in "deplorable conditions," and that the intent of the plan is to "bring Little Havana back to its original state." 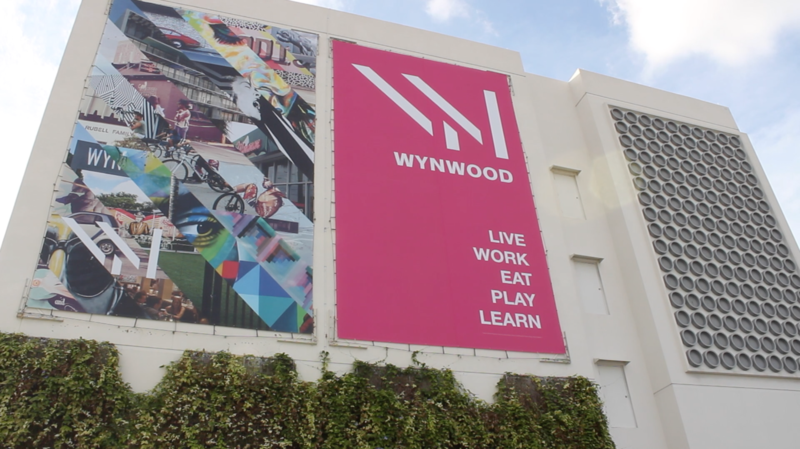 "I am not in favor of gentrification, but at the same time, we're trying to make sure that area becomes what it used to be," Carollo said. Miami planning and zoning director Francisco Garcia said he expects the zoning changes will come up for final approval in April. Cultural anthropologist and Little Havana resident Corinna Moebius is opposed to the upzoning. Moebius, who recently co-authored A History of Little Havana and leads tours of the neighborhood, fears the changes will lead to the displacement of residents and erode the iconic neighborhood's identity just so a few may profit. "There are folks who look at our neighborhood, and all we are is a spreadsheet and a map," Moebius said. "We are just some expendable thing in the way of profit." 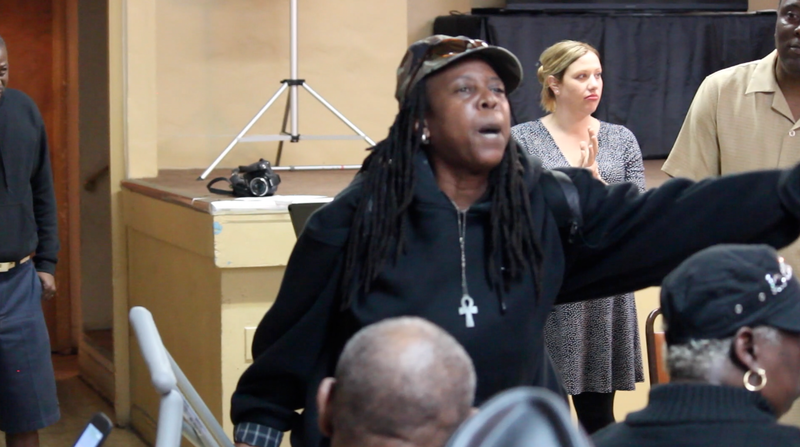 About 100 people gathered inside the fellowship hall at the historic St. John’s Baptist Church in Miami’s Overtown community to discuss the Miami Worldcenter, a multimillion-dollar development project. The meeting opened with a prayer and some ground rules. First, stay on topic. And second, “Be mindful where you are. Tempers can flare, passion can run high, [but] first of all, this is the Lord’s house,” said Bishop Dean Adams. Opera doesn’t always happen in an opera house. Sometimes it happens on Calle Ocho. “UltraVox,” conceived, directed and performed by tenor Santo Martin Cordero and soprano Eloisa M. Ferrer, runs August 2-3 at the intimate SIR Studio on Calle Ocho in Miami’s Little Havana. In the city of Opa-locka, a colorful park stands where liquor bottles and trash once collected in an empty lot. New and chic affordable housing is popping up. Bright murals decorate buildings downtown. 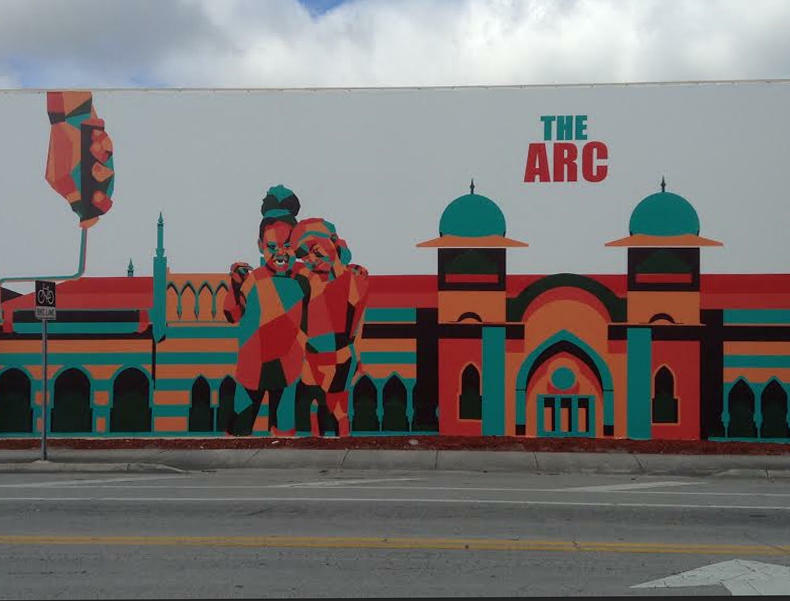 Three years into a citywide arts transformation, Opa-locka is challenging how outsiders perceive the north Miami-Dade enclave, once better known for its prolific drug trade and gun violence. Much of this transformation involves collaborations with artists. Artists and their ideas infused are in affordable housing development, urban planning and landscaping. What (Pre-Approved) Home Colors Are Trendy In Coral Gables? Joel Hitchman, a plans coordinator assistant for the Board Of Architects, said they receive about two to four applications a week and that about 90 percent of them get approved.